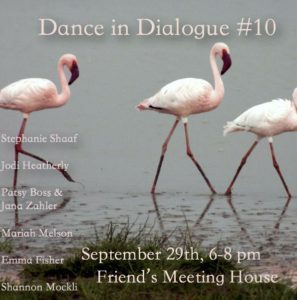 Dance in Dialogue Throws a Big Show! 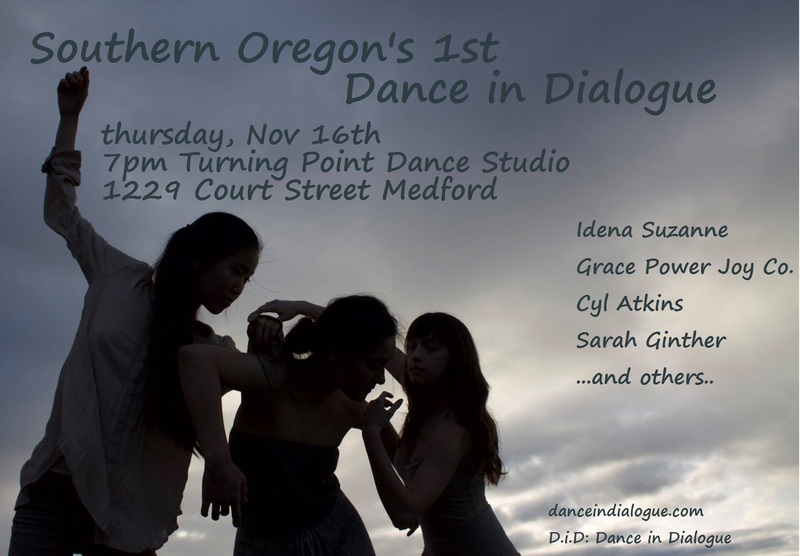 How can you support continued programming for this amazing dance series that inspires the making of new contemporary dance in Eugene? This entry was posted in Uncategorized on November 3, 2016 by danceindialogue. My name is Rachel Carrico—I am new to town and looking for dancers, physically expressive actors, and movers of all kinds to perform in a new piece that I am creating this fall to perform on a shared bill with Shannon Mockli. Dear Monica (working title) re-visits the year 1998, when the Clinton/Lewinsky scandal saturated the news, in order to understand the present moment, in which sexual assault is becoming more visible in the public eye while the first woman in U.S. history—Clinton herself—vies for the presidency. By the time this piece is shown, we will have elected our next president, and no matter who it is, my hope for the performance is that it will create a space to engage with some of these issues in a thoughtful, human, and even sometimes humorous context. Tentative performance date: Friday, Nov. 18 at 7 PM in the Dougherty Dance Theatre at the U of O.
Rehearsal schedule: Start the first week of October and meet roughly 2-3 times per week, based on your availability. No rehearsals Oct. 31-Nov. 6. Please reserve the evenings during the week of the performance for extra rehearsals, tech, etc. If you are interested, please contact me at rachel.carrico@gmail.com or at 618-420-0979. For more information about me and to see a short work-in-progress showing of Dear Monica, you can check out my website: www.rachelcarrico.com. This entry was posted in Uncategorized on September 16, 2016 by danceindialogue. This entry was posted in Uncategorized on September 12, 2016 by danceindialogue. CALL FOR ARTISTS D.i.D. #10! 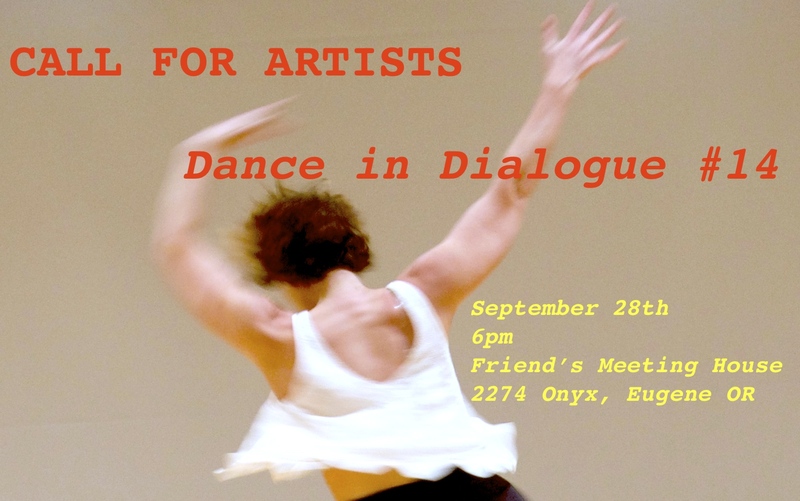 Dance in Dialogue is accepting artist applications for D.i.D. #10 on September 29th, at the Friend’s Meeting House 6-8 pm. To apply include a description of your work-in-process, with conceptual and practical information such as number of performers and collaborators, sound, length, multimedia elements or set, etc. ; a brief bio; a statement on your interest in presenting in the Dance in Dialogue format? How will this format support your work? ; and video links of your previous work. Submission deadline is August 26th. Email your application to Shannon Mockli smockli@uoregon.edu and Margo Van Ummersen vanumm@hotmail.com. 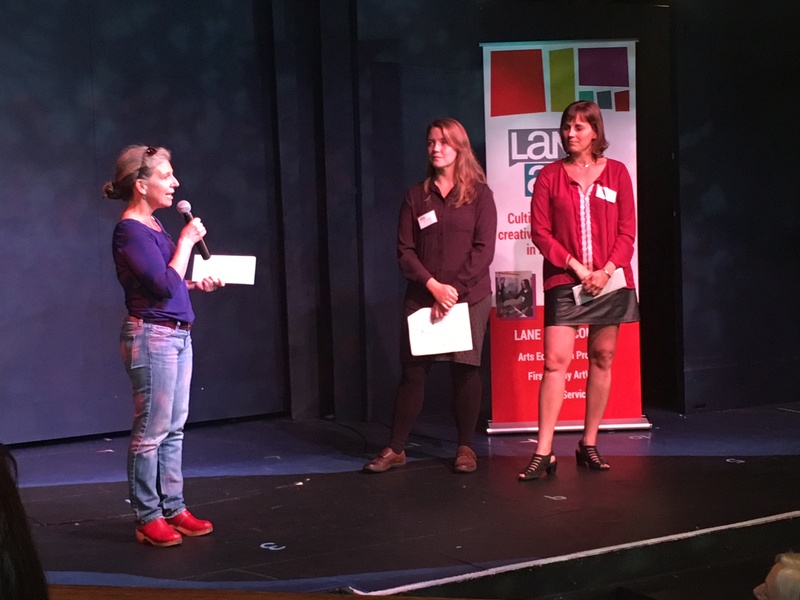 Dance in Dialogue is thrilled to have been a recipient of a 2016-17 Community Arts Grant presented by the Lane Arts Council to support a culminating concert at HiFi Music Hall in December! The culminating concert will encourage select presenters in D.i.D. to further their work for a second showing in a larger community format. Selection for this concert will be made through invitation among all Dance in Dialogue presenting artists in the 2016 year. D.i.D. #10 will be a part of that selection. So, get inspired, get your applications in, and get to work! Dance in Dialogue thanks the Lane Arts Council for support in creating this opportunity for contemporary dance artists! “Eugene is an extraordinary community filled with a number of high-quality, diverse arts programming. I am grateful for the City of Eugene’s ongoing commitment to support these programs and work to collectively make a difference in our community,” states Liora Sponko, Executive Director of Lane Arts Council. You can check out the highlights from D.i.D. #9 here! This entry was posted in Uncategorized on July 18, 2016 by danceindialogue. This entry was posted in Uncategorized on May 5, 2016 by danceindialogue.